In his Nobel Prize lecture in 1986, Elie Wiesel recalled the eminent historian Simon Dubnov, who over and over implored his fellow inhabitants in the Riga ghetto: "Yiddin, schreibt un farschreibt" — "Jews, write it all down." Many felt an overpowering need to preserve the truth. "Countless victims became chroniclers and historians in the ghettos, even in the death camps," said Wiesel. "[They] left behind extraordinary documents. To testify became an obsession. They left us poems and letters, diaries and fragments of novels, some known throughout the world, others still unpublished." And when the war was over and the mind-boggling scope of the Final Solution was fully grasped — the Germans and their collaborators had annihilated 6 million Jews from every corner of Europe, wiping out more than one-third of the world's Jewish population — the moral imperative to remember grew even more intense. Judaism has always attached intense significance to remembrance; in multiple passages the Hebrew Bible even makes it an explicit religious obligation. Not surprisingly, Israel's parliament long ago added Yom Hashoah, or Holocaust Remembrance Day, to the Jewish calendar each spring. (It begins this year on Wednesday evening.) For many Holocaust survivors and their children, "Never Forget" understandably became almost an 11th Commandment. But a commitment to remembrance spread far beyond the community of those most affected by the Nazis' industrial-scale campaign to eradicate the Jews. In recent decades, Holocaust commemoration, particularly in the West, became a widespread cultural phenomenon. Countless books, lectures, and documentaries have been devoted to the topic. Academia is replete with Holocaust studies programs. On big and small screen alike, movies and miniseries on Holocaust themes have been runaway successes. Online resources for learning about the Holocaust are almost too numerous to count. And Holocaust memorials and museums have been erected in cities large and small, on every continent except Antarctica. The Nazis' extermination of European Jewry, an evil so unprecedented that the word "genocide" had to be coined to describe it, is among the most exhaustively researched, documented, and memorialized crimes of the 20th century. The powerful Nazi leader Heinrich Himmler, who in 1943 characterized the wholesale murder of the Jews, by then well underway, as "a glorious page in our history that . . . shall never be written," was wrong. The history was written. Its remembrance is sustained by an ocean of scholarship, testimony, literature, and education. The last living survivors of the Holocaust are now mostly in their 80s or 90s; in a few years almost no one will be left to speak from personal experience of what it meant to be engulfed in the singular horror of the Shoah. THE EVENTS of the Holocaust have haunted me for as long as I can remember. My father, who was born in a tiny village on the Czechoslovak-Hungarian border in 1925, is a survivor of Hitler's destruction. With his parents and four of his brothers and sisters, he was seized by the Nazis in the spring of 1944, imprisoned in a crowded ghetto, and then, after six weeks, herded into a cattle car to be transported to Auschwitz. Of the seven members of his immediate family who entered the death camp, six were murdered; only my father escaped death. For me, the Holocaust has always been intensely personal. It may have ended a decade and a half before I was born, but I have always understood that I was intended for obliteration too. In a public address in 1939, Hitler had vowed to achieve "the annihilation [Vernichtung] of the Jewish race in Europe." The essence of the Final Solution is that it was to be final. No Jews were to survive — above all, no Jewish children through whom 3,000 years of Jewish existence might continue. It was to that end that Germany constructed such a vast continent-wide operation and committed such immense financial resources: to track down and murder every last Jew in Europe. History is filled with terrible illustrations of the human capacity for cruelty, hatred, and violence; in every era, there have been ruthless tyrants willing to torture and kill in the pursuit of power and wealth. That intolerance and racism unchecked can lead to barbaric crimes is a vital lesson. But if there is no more to "Never Forget" than that, then Holocaust remembrance must be judged a failure. 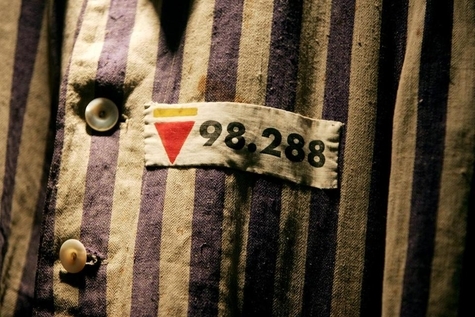 It was always inevitable that the enormity of the Holocaust would recede in public awareness. The human mind is built to forget; neither individuals nor societies can prevent the intensity of agonizing memories from diminishing over time. In a new book, In Praise of Forgetting, David Rieff reflects on King Philip's War, a murderous conflict between English settlers and Indians in 17th-century New England. On a per capita basis, it was the bloodiest war in American history, and those who survived the carnage must surely have been passionate in their conviction that it never be forgotten. "And yet," writes Rieff, "professional historians aside, King Philip's War is almost never talked about. . . . The historical importance of an event in its own time and in the decades that follow offers no guarantee that it will be remembered in the next century, let alone for many centuries after." Like other terrible eruptions of savagery and slaughter, the Holocaust will become, as it were, "ordinary" history. By now there is evidence aplenty that what happened to Europe's Jews during World War II is fading from common knowledge. In 2013, a survey of more than 53,000 respondents in 101 countries found that only 54 percent of the world's adults had even heard of the Holocaust — and of those, one-third believe it is either a myth or has been greatly exaggerated. DISPIRITING AS those numbers are, they are bound to grow even worse. As the generation of Holocaust survivors passes away, as Holocaust-deniers spread their poison, as indifference to history takes its inevitable toll, remembrance of the Nazis' Jewish genocide will dissipate. More and more, Holocaust terminology and imagery will be trivialized. Indeed, the words and pictures have for years been shockingly misused. In its "Holocaust on your Plate" campaign, the animal-rights group PETA explicitly likened Hitler's millions of human victims to chickens slaughtered for food. In Taiwan, giant images of Hitler, his arm raised in a Nazi salute, were used to advertise space heaters. In a TV broadcast, the evangelical preacher Pat Robertson insisted that "what Nazi Germany did to the Jews, so liberal America is now doing to evangelical Christians . . . . It's no different, it's the same thing." Holocaust remembrance has not prevented the onset of Holocaust amnesia. For a few decades after World War II, the sheer monstrousness of the Holocaust made it unthinkable as a subject for jokes. But that, too, has gone by the boards, along with the brief postwar taboo that banished rank anti-Semitism from polite society. Now Holocaust jokes proliferate. "Tasteless and mean-spirited, some of these have become part of the repertoire of popular stand-up comedians," writes Alvin Rosenfeld, a scholar at Indiana University. "By ridiculing and mocking Jewish suffering, comics like France's Dieudonné, Norway's Otto Jespersen, Ireland's Tommy Tiernan, and their counterparts in other countries look to laugh away Hitler's Jewish victims by deriding them." The world's conscience was shocked, after the fact, by the scope and ferocity of the Holocaust. In the face of such monumental evil, "Never Forget," like "Never Again," may have seemed the only possible decent response. "After the war," Elie Wiesel said, "we reassured ourselves that it would be enough to relate a single night in Treblinka . . . to shake humanity out of its indifference and keep the torturer from torturing ever again." But it wasn't. Accounts of what was done in Treblinka did not prevent mass-murder in Cambodia or Bosnia or Rwanda. Holocaust remembrance has not inoculated human beings against treating other human beings with brutality. Museums and films and college courses about the Shoah have not made genocide unthinkable — not even another Jewish genocide, as the regimes in Iran and Gaza frequently make clear. 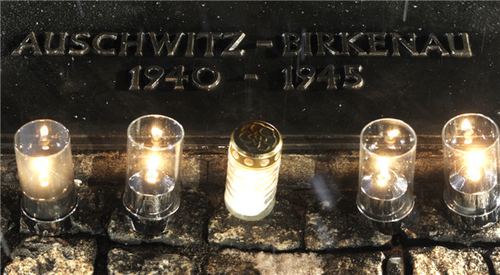 Holocaust remembrance has not prevented the onset of Holocaust forgetfulness. For survivors like my father, and for the sons and daughters they raised, it goes without saying that "Never Forget" remains an ineradicable moral imperative. I have always taken the Holocaust personally, and always will. But the world, I know, will not. Eventually, everything is forgotten. Even the worst crime in history.